How to check you video files compliance ? When you decide to invest money, time and effort on a video production, you should set up the technical requirements of this new digital content so your media agency gets the right briefing. On Veriflies, you can configure these requirements and send the briefing to your agency through a delivery request. 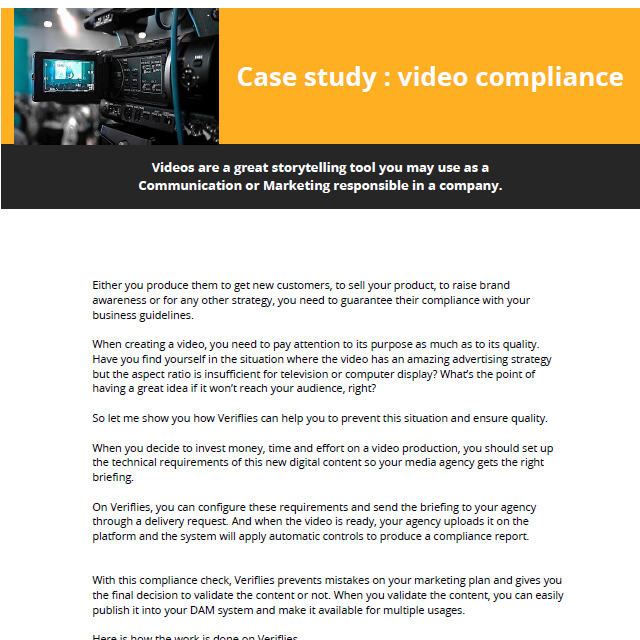 And when the video is ready, your agency uploads it on the platform and the system will apply automatic controls to produce a compliance report.